John Deere has announced a new official supplier agreement with the Club Managers Association of Europe (CMAE), to further support the association’s vision of being the leading organisation for club management educational programmes. 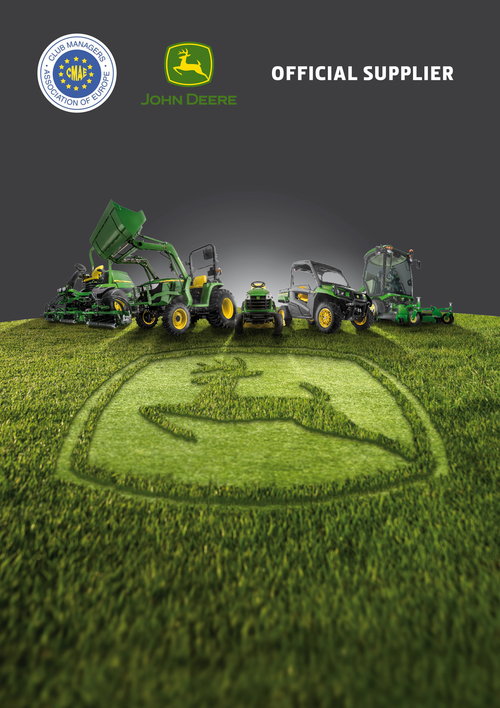 John Deere is an industry leading, full range supplier of sports club maintenance equipment including mowers, tractors and Gator utility vehicles. The CMAE is a non-profit professional association which is the leading authority for club manager education. Under the terms of the agreement, both organisations will begin working together on the lead up to the CMAE’s annual conference, which will take place in November this year in Marbella, Spain.